You are currently browsing the archives for the tag 'black belted gown'. 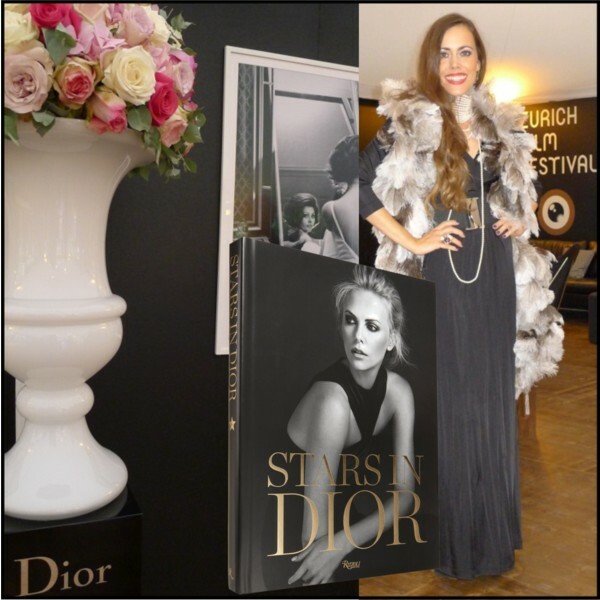 This weekend, I was invited by Dior to the Zurich Film Festival that is celebrating the art of film in all its facets this year for the 8th time. In a very short amount of time, it has established itself upon the national and international festival landscape. We started in the afternoon with the vernissage “Stars in Dior”, a beautiful exhibition of photographs featuring celebrities such as Marilyn Monroe, Sophia Loren and Sharon Stone, who have often worn creations by the house of Dior, whether they were designed by its founder or his successors, on the set, at cinema-related events or simply in their everyday life. 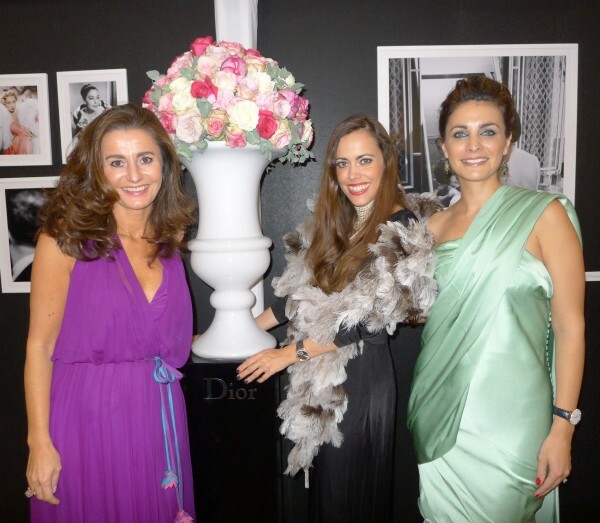 At the vernissage framed by Manuela Pastore (Sales Manager Parfums Christian Dior) to the left and Sonya Burch-Baumann (PR Manager Parfums Christian Dior) to the right. 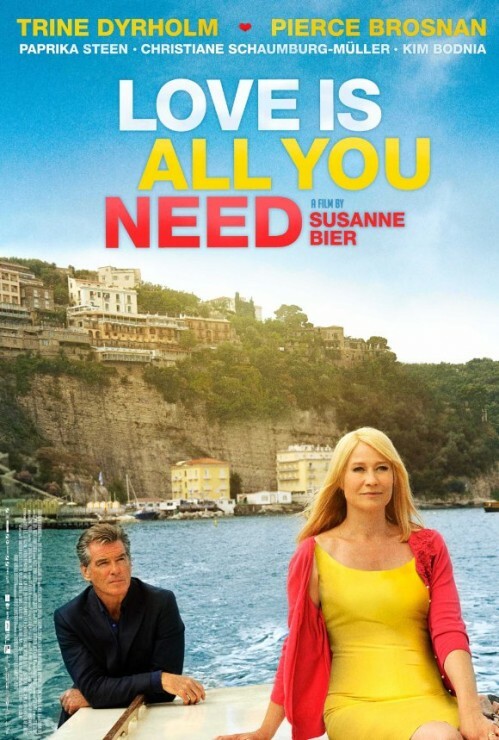 Later, we went to the screening of “Love is all you need” (Den skaldede frisor), a film directed by Academy Award Winner Susanne Bier and starring Pierce Brosnan plus a famous Danish cast, among them Trine Dyrholm and Kim Bodnia. The heartwarming story is very moving but at the same incredibly funny with a hint of absurdity. A hairdresser (Trine Dyrholm) who has lost her hair to cancer finds out her husband (Kim Bodnia) is having an affair, travels to Italy for her daughter’s wedding and meets a widower (Pierce Brosnan) who still blames the world for the loss of his wife. Of course, nothing goes according to plan and yet everything works out in the end. The film was shown in Danish/English with German subtitles and I have to admit that the original soundtrack added even more charm to it. 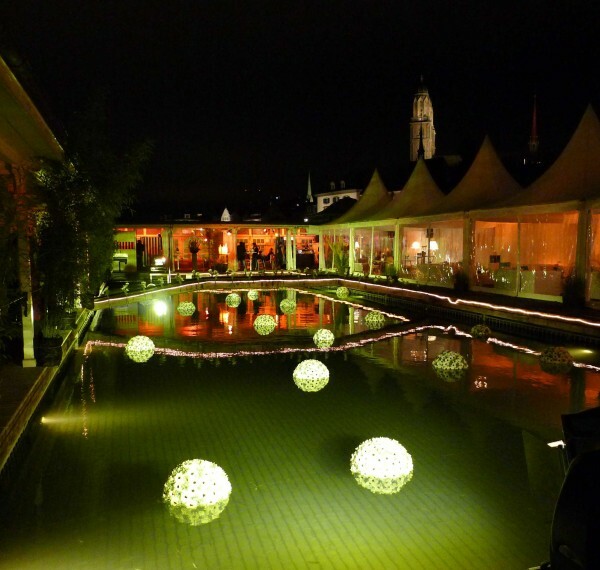 The Dior after party took place at the Frauenbadi that was beautifully decorated. 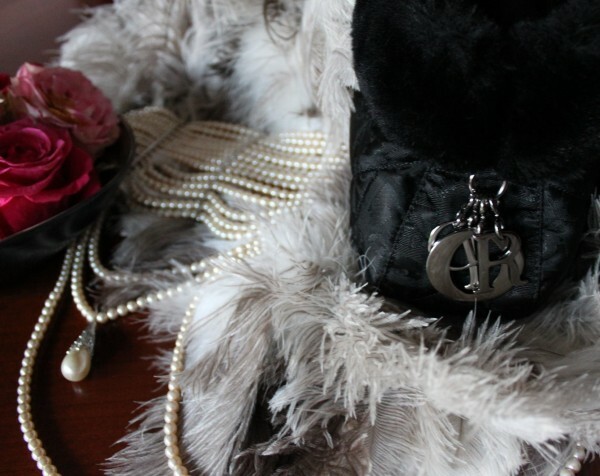 My look: Black belted gown by Philosophy di Alberta Ferretti, cropped fur jacket by Prada, feather stole, handbag and pearl multi-strand necklace by Dior, pumps by Yves Saint Laurent. In the end, Dior spoilt us even more with the wonderful coffee-table book “Stars in Dior” (Available in stores for around €45.-) and a bottle of the house’s recently launched fragrance: MISS DIOR – Le Parfum. The scent is announced as elegant, sensual and intoxicating nocturnal perfume extract. The nose behind this fragrance is François Demachy who said he “wanted to bring something precious and luminous to the composition of Miss Dior Le Parfum, like an oriental jewellery set or the reflections of shimmering fabric.” Yet again, beautiful Natalie Portman is the face for the campaign, formerly she presented Miss Dior Cherie. Base notes: Patchouli, amber and vanilla. Available now for CHF 129.50 (40ml) and CHF 179.50 (75ml). My new favorite, such a warm, beautiful and very feminine perfume. A must for all lovers of oriental fragrances.